Midwest Living Magazine ONLY $4.99 A Year (Recipes, Crafts + More)! You are here: Home / Great Deals / Midwest Living Magazine ONLY $4.99 A Year (Recipes, Crafts + More)! 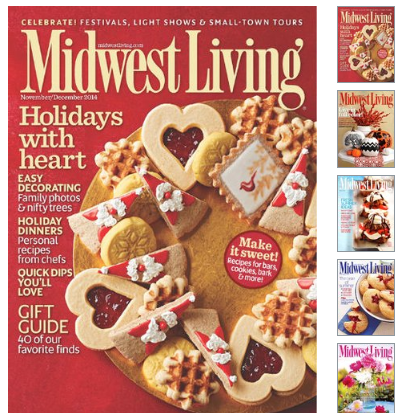 Through 1/28, you can snag Midwest Living Magazine for ONLY $4.99 A Year! They feature delicious Recipes, Crafts and tons more! Just use coupon code 1990 at checkout!